Complete information about the World and its cities. : Incredible Dussehra Festival in "KULLU"
Incredible Dussehra Festival in "KULLU"
Kullu Dussehra festival, held in India’s northern Himachal Pradesh state, is a popular event that is an off-shoot of the countrywide Navrati festival. Celebrated in grand style, The pageants and processions of the Dussehra festival celebrations end in an explosive display of pyro-technics as giant wood-and-paper effigies of the ten-headed demon King Ravana, his son Meghnad and brother Kumbhkaran are set alight. These effigies are burnt within the presence of huge crowds who view this as a traditional act of burning the evil. 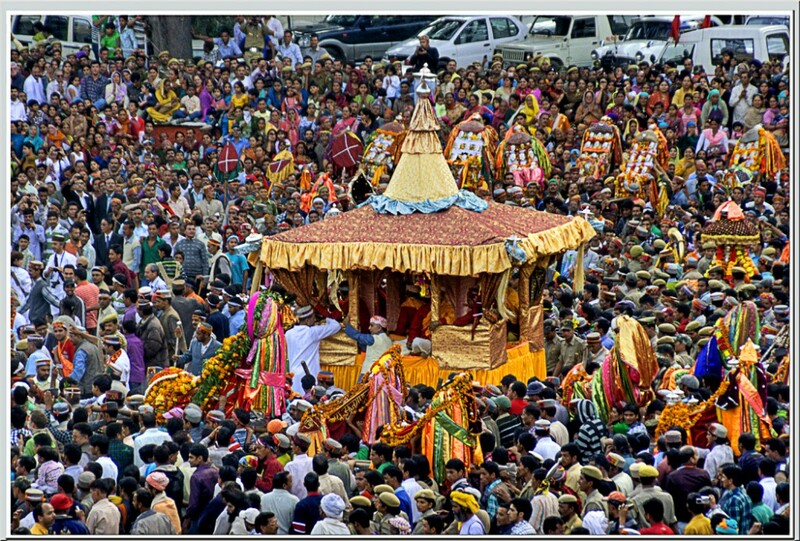 Kullu Dussehra centres around a colourful procession of gold and silver idols symbolising the Hindu deities, which are brought in from far flung villages in the Kullu Valley to be paraded through the town’s streets. Over much of northern India, amateur theatre groups don paint and costumes to re-enact the Dussehra story at Ramlilas in every neighbourhood, while in Mumbai and Ahmedabad, feasting and fasting, whirling garba and click-clacking dandiya are an integral part of the festivities. 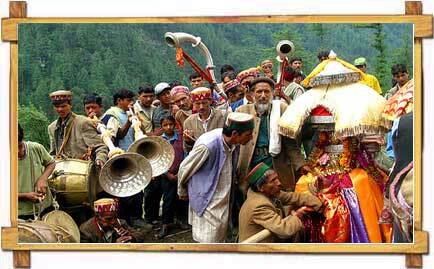 Kullu Dussehra itself, dates back to the 17th century when the local King Jaganand installed an idol of Raghunath (Lord Rama) on his throne as an act of penance, after which the Raghunath idol came to be known as the ruling deity of the valley. Dussehra is a week long celebration in Kullu, which normally starts on Vijaydashmi, (in the month of October) the day Dussehra come to an end in the rest of the country. This is the time when valley could be seen in its best form with colorful attire of the people, who have come across all over the valley. Dussehra celebrations in Kullu are world famous as more than two hundred deities are believed to meet for the unusual Dussehra celebration which begin on Vijayadashami itself and the celebrations continue for seven days. On the last day of the festival the chariot of Lord Raghunath is taken near the bank of the river Beas, where a pile of wood and grass is set on fire symbolizing the burning of Lanka.